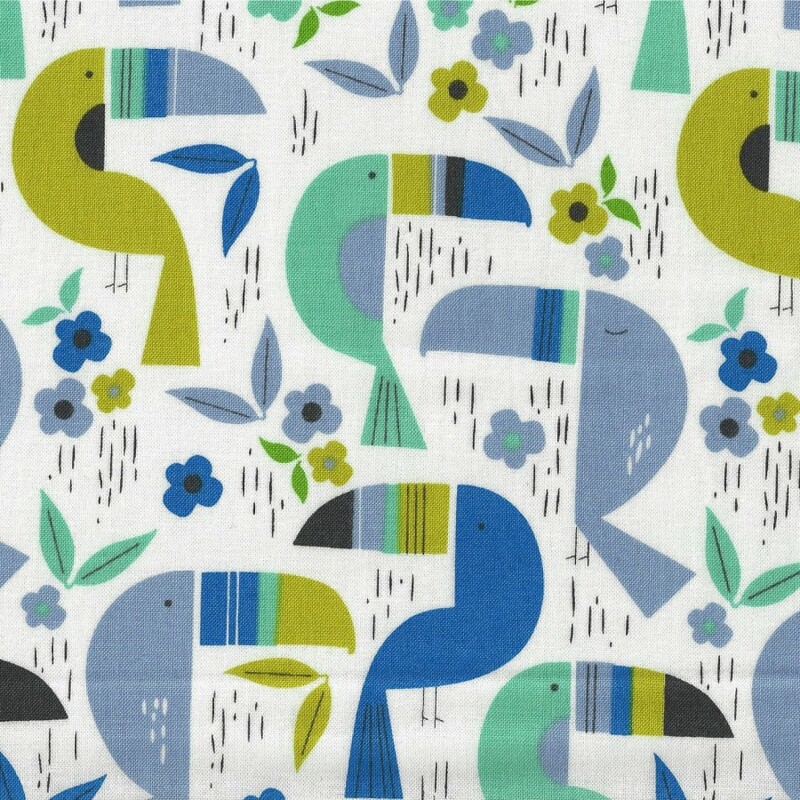 Turn this adorable Alexander Henry toucan fabric into wall art, cushions, quilts, applique or clothing for your little ones. Colour Shades of blue & green on white. 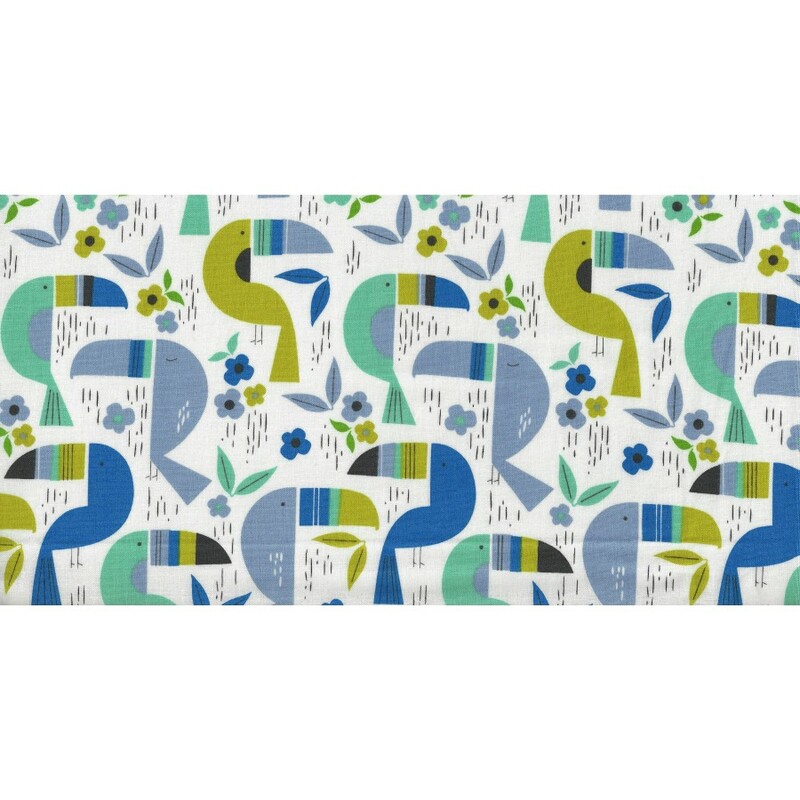 Motif Size Toucans 7cm x 6cm.